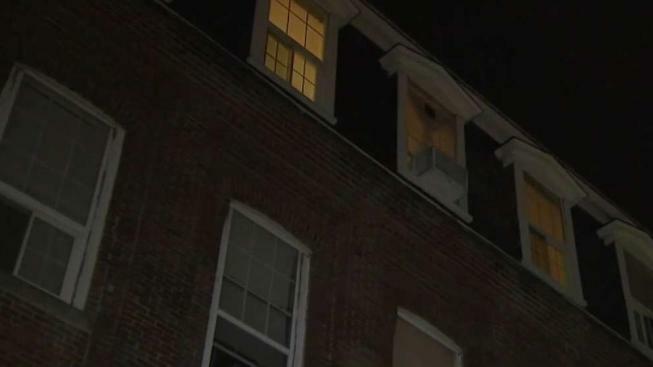 A 2-year-old girl died after falling from a fourth-floor window Thursday in Fitchburg, Massachusetts. She's being remembered as "cute. Always smiling, just a happy little girl." Fire officials confirmed the incident happened at the Willow Loft Apartments on Willow Street just after 4 p.m. The child was rushed to Leominster Hospital where she was later pronounced dead. A neighbor who lives next door to the little girl says her mom is hard working and a good mom to her two children. How it happened, he doesn’t know, but he says his kids would play with the victim. “My girlfriend told me and it didn’t even feel real," he said. "I just saw her yesterday, last night around 8 o clock." “It’s a sad thing," another neighbor said. "Very scary thing and we’re sad that it happened." Two relatives were also taken to a hospital with stress-related symptoms, Fitchburg Fire Chief Kevin Roy said.